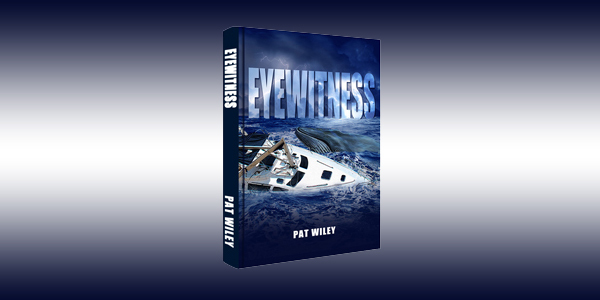 A book by author Pat Wiley titled ‘Eyewitness: A Nautical Murder Mystery’ sees its lead character facing a criminal investigation, saying “the nightmare leading to my arrest began while sailing alone to the island of Bermuda,” with the the “only witness in his favor” being a humpback whale. The book’s description says, “My name is Jack Quinn. I’m in prison, awaiting trial for murder on the high seas. The nightmare leading to my arrest began while sailing alone to the island of Bermuda. “Freelance writer Jack Quinn has lost everything – his job, his life savings and now his freedom. What turned out to be an opportunity to fulfill his dream of sailing single-handed from New England to Bermuda has transformed into a nightmare. “Barely surviving a hurricane, Jack offers aid to survivors on a dis-masted sailboat. But something is wrong. After arriving back to the mainland, Jack’s arrested and finds himself the prime suspect in an extensive FBI investigation of smuggling, money laundering and murder.